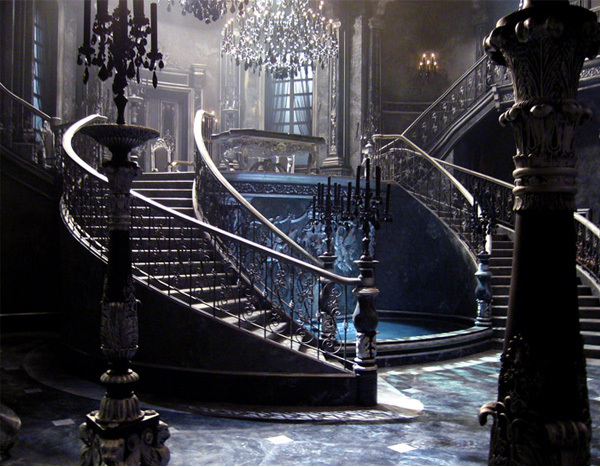 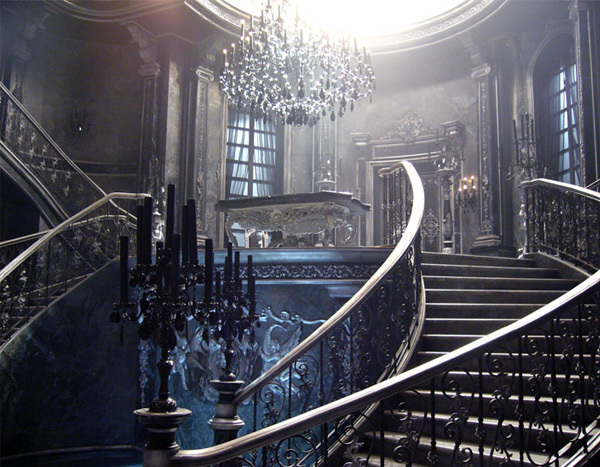 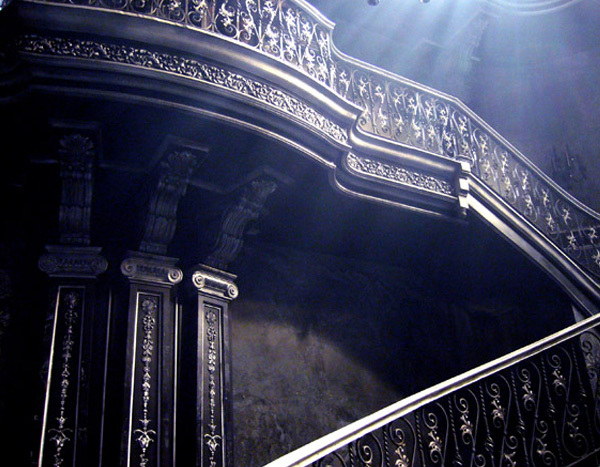 Below: The Grand Staircase from the witches lair in Stardust. 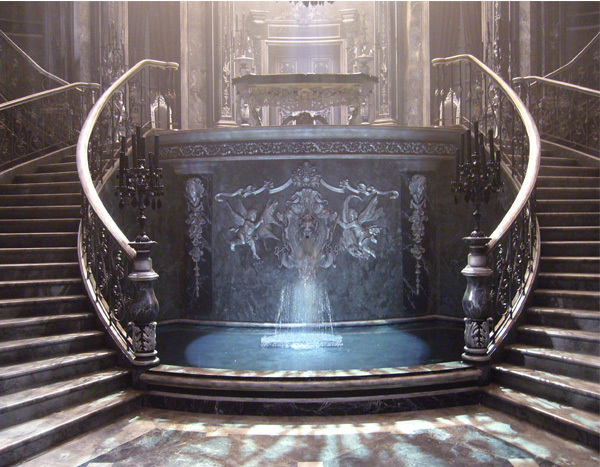 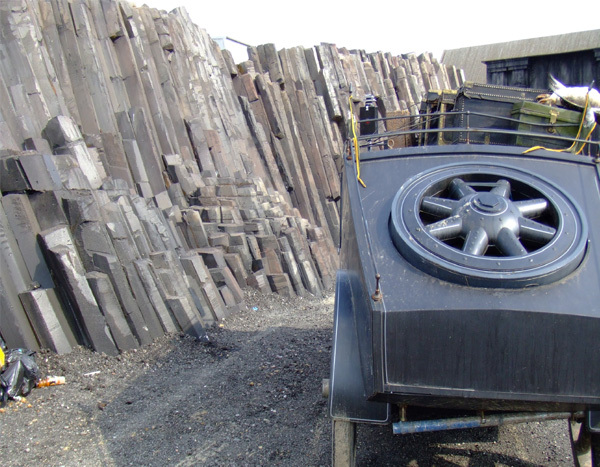 Appointed Head sculptor and ran a large crew of modellers to produce all the decorative elements for the Witches lair. 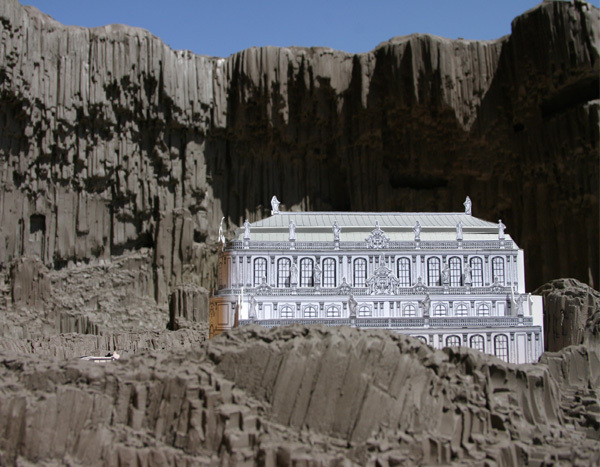 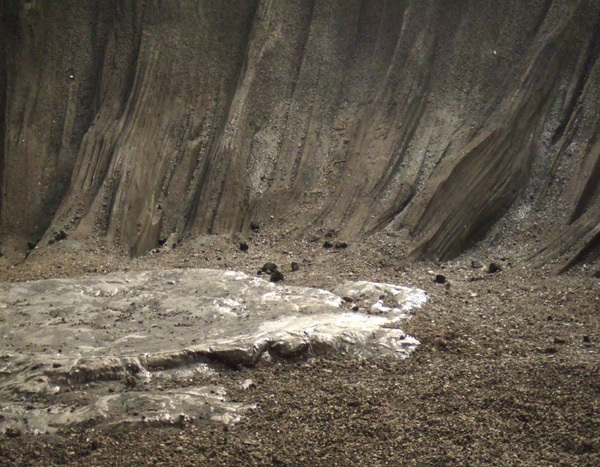 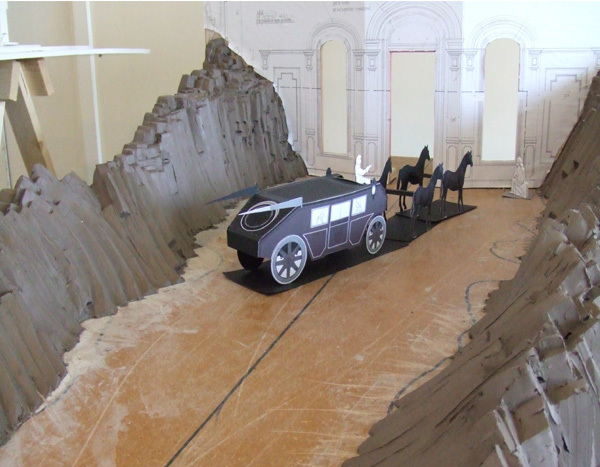 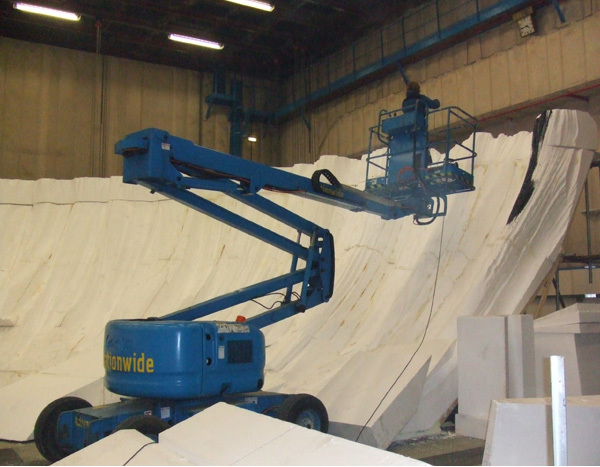 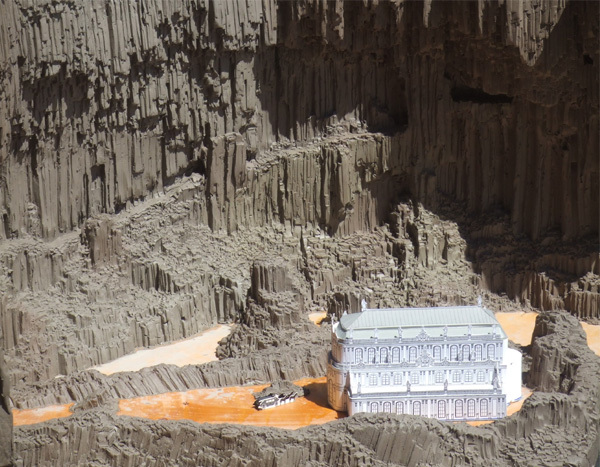 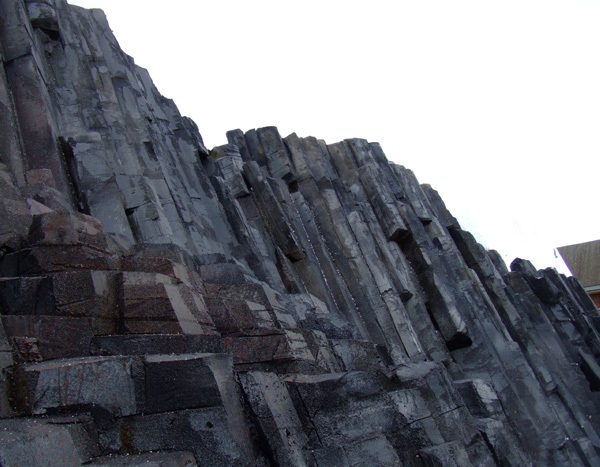 Also produced a 100 ft diameter crater, exterior of the witches lair, and concept models for the Art Dep.